Posted by Joyce with Comments Off on Why See An Esthetician? What is the main reason to get a professional skin care treatment? For some it is to feel pampered, for others it may be to maintain youth, and for some it may be to battle ongoing skin issues. When you take care of your skin by visiting a licensed esthetician for regular facials, not only are you enhancing your appearance, but you are also protecting your overall health and preventing more serious issues. The many advantages of visiting an esthetician include preventive care, appropriate skin care advice and, best of all, a deeply relaxing experience! Your skin is your largest organ– acting as a barrier, protecting you from the elements and housing your organs. By taking good care of your skin you improve your overall health, not just your appearance. An esthetician can provide a very important service in alerting you to serious skin problems that need the intervention of a dermatologist, such as changes in moles or suspicious spots. If you’ve yet to be touched by the signs of early aging, professional facials can help you keep those signs at bay as long as possible, giving your skin a great head start. If you are unhappy with the current state of your skin, be it due to acne, pigmentation, signs of aging, professional care can help by mitigating those symptoms and putting your skin back on the right track. Even if you take your signs of aging in stride and have no desire for drastic changes, professional care will keep your skin healthy and well maintained. There is a treatment plan for every person and every goal. 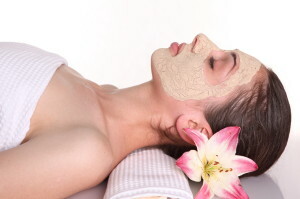 A good esthetician will take the time to analyze your skin, discuss your current routine and any concerns you have, and then determine which treatments would suit your skin type the best – tailoring a facial and a home care plan to your own unique needs. Regular professional skin care is not just for women, men have their own unique skin care challenges as well! Whatever the reason that convinces you too seek out professional skin care, Privy Skin Care will work with you to achieve your goals. Schedule a consultation or an appointment today!